Although Erin Gates has been blogging (at Elements of Style) for a long time, I only stumbled onto her recently. While we were starting our renovation of the casita kitchen, I got really into looking at other remodeling projects in progress. Gates happened to be redoing her garage/master bedroom and bath/laundry room (and maybe some other stuff), and I was blown away by what she was doing (the tile in her bathroom is swoony and her bedroom built-ins are amazing-- follow her on Instagram to check it out). Anyway, I quickly learned that she was about to release her first book, and like the lemming that I am, I ordered it. The book is amazing. She uses her own design work (which is gorgeous-- I seriously love the New England bones of her buildings and the way she combines traditional and modern elements in almost all of her work), and her own home to showcase how to create a stylish home, room by room. These are not cookie cutter projects-- in fact, for each room she talks about different design traditions and how to apply them stylishly. She weaves in personal stories about her own life which kept me enthralled as a reader. This book has it all, and for once, I'm happy about making an impulse purchase of a coffee table book. This is one that I'll come back to again and again. Have you ever felt that isn't worth it to make your house a home? Maybe you're in a crappy apartment or living in your parents' basement or living for just a few months in a dorm. Maybe you're in a house that needs so much done it seems overwhelming to start. Whatever your situation, Myquillyn Smith has probably lived it too. In fifteen years (or so) of marriage, she and her husband have lived in seventeen (or so) places (I can't remember the exact details), and for a long time she felt paralyzed by the idea of decorating a small budget or learning to love a rental house. But over the years, she has learned the tricks of making a house a home, and it has very little to do with square footage or granite countertops, and everything to do with learning to live with imperfections, being willing to change things up, and just digging in. 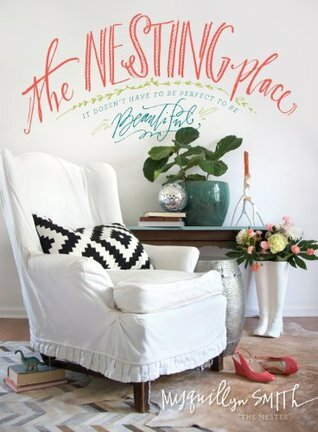 The Nesting Place is filled with pictures of the rental home in which she lived with her husband and three sons while she was writing the book (the family recently bought a new house). 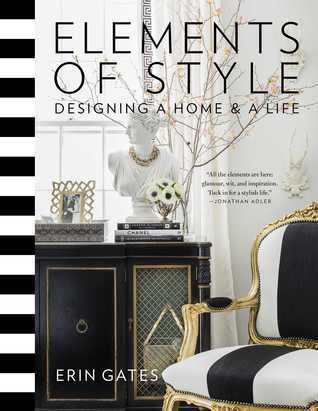 It's part memoir, part pep talk, and filled with practical suggestions of how to decorate a house that can be awesome and a reflection of your personal style, even if it's never going to be absolutely perfect. While I'm in a more settled place in my life, I still found this book extremely enjoyable to read and finished it with a bunch of practical applications I could use in my own home and life. 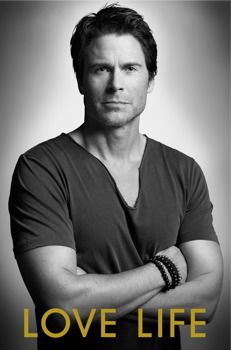 I read Rob Lowe's first memoir, Stories I Only Tell My Friends, a few years ago (somehow I escaped reviewing it, which is a shame, because it's awesome), and was so impressed and surprised by the quality of his storytelling that I bought this immediately when I heard that he had a new book out. While Stories I Only Tell My Friends, deals a lot with Lowe's story of growing up and his "wild" years which landed him in rehab, Love Life focuses more on his family life. As a child star, and one of the famed brat pack, smart money probably wouldn't have been on Lowe having a happy marriage of more than twenty years and finding lots of joy out of coaching his boys' basketball teams (until he got fired, that is). While Lowe does some name-dropping and navel-gazing (which is probably inevitable given his profession), this story is much more about how he feels as his son goes off to college, and the reasons why he and his wife work so well together. The final chapter brought me to tears as I was out in the neighborhood walking the puppy. I would heartily recommend both books for an interesting, accessible, completely engrossing read. 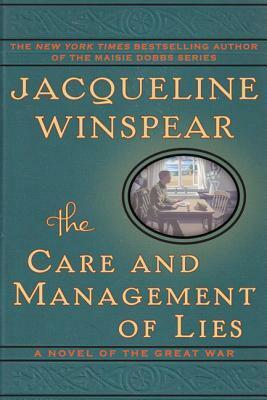 In The Care and Management of Lies, Jacqueline Winspear departs from her favorite heroine (Maisie Dobbs), but not from her favorite place and time period (rural England, World War I). Kezia Marchant and Thea Brissenden met as scholarship girls at an English boarding school (just like Maisie, only about a decade ahead of her time) and became the best of friends. However, as the book opens, on the eve of Kezia's marriage to Thea's brother, Tom, the women's relationship is strained. Thea doesn't want to be held down to the country life that Kezia seems to embrace, and has even changed her nickname (from Dorrit, short for Dorothea) to demonstrate her break with her previous life. However, as war breaks out, Kezia finds herself being the emotional support to both Thea and Tom as she writes them letters while they serve their country. The letters to Tom, in which she creates lovely, imaginary feasts to show her love for him (and her blooming farm-housewife skills), are particularly sweet and evocative, and they encourage not just Tom, but also the men he serves with. Winspear seems to hit all of the social highlights of the war (the changing roles of women, the white feather distributors, the anti-war protesters, the bullying in the ranks, the relationship between noblemen and everyday Englishmen on the battlefield) while still creating an engaging and poignant love story. I'll warn you now, this is a super-sad story, and also a sweet story. I love how it shows Kezia's transformation as she gains self-confidence in running a farm. It doesn't have the epic qualities of Maisie Dobbs, but it's also a single volume, so the inevitable comparison in my mind probably isn't a fair one. In the Sunday morning session of General Conference this weekend, President Eyring told the story of how he traveled to a “small city far away” to confer the sealing power on a man whose “hands showed the signs of a lifetime of tilling the soil for a meager living.” The man’s wife sat in the room, weeping, and when President Eyring asked her how she felt, “She looked up and then said timidly that she was happy but also sad. She said that she had so loved going to the temple with her husband but that now she felt that she should not go with him because God had chosen him for so glorious and sacred a trust. Then she said that her feeling of being inadequate to be his temple companion came because she could neither read nor write.” President Eyring reassured her and spoke to her about her spiritual gifts, and her great faith in the gospel. What struck me about this exchange was not just the kindness President Eyring showed, or his ability to discern that this sister had received personal revelations which she held dear, but the fact that her husband’s new church responsibilities highlighted her own feelings of inadequacy. While I don’t know enough about this woman’s life experience to even begin to guess whether her church experiences or experiences in her culture of origin helped shape this feeling, the anecdote highlights the fact that women in the church can struggle with feeling less than their male counterparts. We see men on the stand every Sunday. Our boys pass the sacrament. Few women have the opportunity to work in church leadership. Our religious language is often gendered. There are so few female voices and role models and leaders for us to turn to as examples. As more women work closely with men in the workplace and work toward egalitarian relationships with their male partners, church may be one of the few places where women may feel limited by their gender. I’m not saying that every woman feels this way; many women feel that their membership in the church empowers them. I just want the church to be a place where every member can feel that she belongs. If you’re a woman who has never felt marginalized at church and can’t understand what the fuss is all about, this is the book for you. 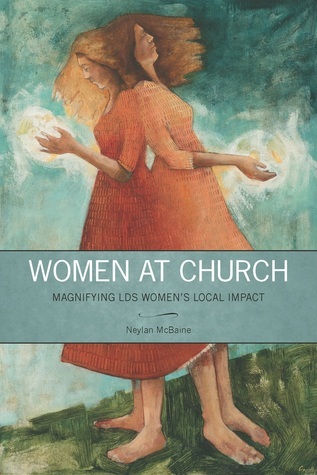 In Part One of the Women at Church McBaine talks about the history of women in the LDS Church and also explores some of the reasons why women may struggle with their roles in the church, and why women who do struggle deserve empathy, not judgment. If you’re a church leader who wants to make sure that members in your stewardship feel comfortable in their roles at church, this is the book for you. Part two of Women at Churchlooks at church practices and examines how we can improve those practices without doctrinal changes. One of the things I enjoyed most about Women at Church is that McBaine draws from all of the best sources available to her. She has interviewed hundreds of women in her role as the founder of the Mormon Women Project, and she draws on interview, official church sources (including church handbooks), quotes from church leaders, personal experience, and experts in communication, business, and organizational behavior. When I review a book, I underline passages I might want to quote in my review. When I’m constructing the review, I go back and look at the passages, pick a couple of my favorites, and quote them. However, as I sat down to write this review, I found that I had more than seventy bookmarks in a book that’s less than 200 pages long. While you might say that means that I was playing a little fast and loose with my bookmarks, I think it’s because the book has so much information that’s useful, as well as stories and anecdotes that either resonated with me and reflected my lived experience, or helped me gain empathy by presenting me with different experiences. McBaine comes at her subject matter as one who is offering helpful suggestions to help the church better meet the needs of its members without changing doctrines or even official policies. She spends a significant amount of time pointing out things that the church does well in regard to gender roles. I especially liked the story about a shy primary president developed leadership skills she wouldn’t have had the chance to develop in her everyday life and those about how women in other parts of the world where gender roles are very clearly delineated often find that joining the church is revolutionary and empowering. But she also doesn’t shrink from pointing out places where our culture and traditions can be limiting, even if unintentionally (which I think was the case in the story President Eyring shared in General Conference). I wholeheartedly recommend Women at Church. Read it yourself, then give a copy to your mom, your husband, your bishop, your Relief Society president, and your best girlfriends. *This post originally appeared at Segullah. If you'd like to learn more about McBaine, head over to Segullah to read her interview about the book. Content alert: There may be some swearing, but none I remember. Very sad and emotionally taxing, though. In February 2008, Joyce Carol Oates and her 77-year-old husband Raymond Smith thought they had years of devoted companionship ahead of them. Smith was still working as editor of The Ontario Review, and Oates was forging ahead as a professor at Princeton and one of the most celebrated and prolific authors in the United States. Then Raymond came down with pneumonia, and just when it seemed that he was getting better and would be transferred to a rehabilitation center, he died of a quick-moving, secondary infection. 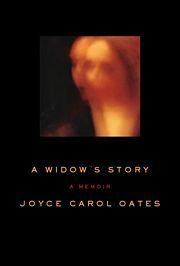 Oates was completely blindsided by her husband's death, and A Widow's Story is the account of that experience. I'd like to explain my rating of A Widow's Story. This is a hard book to read. Oates writes very movingly of the last week of her husband's life, of their devotion to each other, and to her feelings of complete aloneness and anxiety in the weeks and months following his death. She hordes painkillers and sleeping pills and dreams about taking them to end it all. She seems unable to accomplish the simplest tasks, and is very (VERY) quick to find fault with everyone, including her closest friends. In other words, she's deep in grief mode. It's no fun to read a story that seems to go on, and on, and on about her frustrations and her pills. But I think that's what makes this book so important too. This is a story I don't know (I have read Joan Didion's The Year of Magical Thinking-- which was lighter, if you can believe it). I've never been a widow. Never lost anyone I was extremely close to, and especially never lost anyone unexpectedly. I am unacquainted with grief. So reading this book is really important for people like me, and probably you, to help us understand that grief doesn't end quickly and sometimes looks and acts totally illogical, but that it's also a great expression of love. Now that she's in her fifties, Fiona Maye's life seems to bear the fruits of years of hard work, routine, and restraint. Her job as a family court judge in London is both satisfying and demanding, and she and her husband Jack know what to expect from each other. That is, until Jack surprises her by telling her that he wants to have an affair and wants her permission to carry it out. As Fiona works to regain a sense of balance in her personal life, she finds herself struggling with the emotional demands of case involving a seventeen-year-old Jehovah's Witness boy who doesn't want the medical procedures that will cure him of leukemia. I love Ian McEwan. Atonement, Solar, On Chesil Beach and Saturday are some of my favorite books. 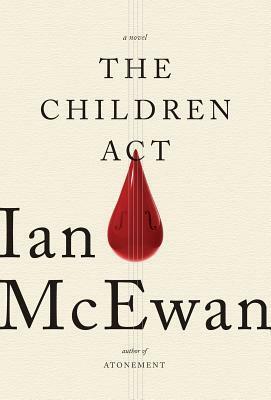 One of the things I like best about McEwan's novels is that he creates such interesting, complex characters. There isn't a lot that "happens" in some of his books-- rather, it's the interior life of what's going on in the minds of the characters that propels the novels forward. This is definitely true in The Children Act. It has barely any dialogue and takes place in only a handful of episodes. What's interesting here is to see Fiona work through her feelings toward Jack and her feelings about this perplexing case, and to see how they unexpectedly intersect. 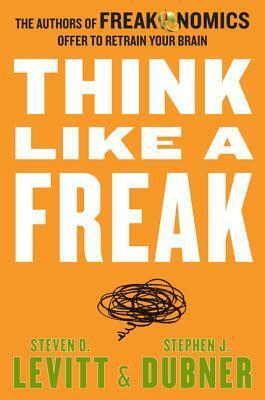 One of the first audiobooks I ever listened to was the original Freakonomics. I remember painting Annie's bedroom right after we moved to Texas while I listened to Steven Levitt and Stephen Dubner expound on everything from the relationship between abortion and the drop in violent crime twenty years later to what your child's name says about them. Mind you, this was more than ten years ago, and I still remember crouching on the floor, smelling the paint, and hearing those voices. I was hooked. It's been more than a decade and I've listened to hundreds of audiobooks in the intervening years, but when I learned that the Freakonomics guys had a new book out, I put it in my Audible cart right away. Now, the concept isn't that new. Guys like Malcolm Gladwell and Jonah Lehrer (before the plagiarism thing) and dozens of others have written about how looking at things in new ways yields surprising results. The book isn't revolutionary-- it's basically more of the same entertaining mythbusting two have been at for years, but it's geared slightly differently-- how you, personally, can retrain your brain to do what they're doing (look at the same old problems in new ways). But really, that concept serves as a scaffolding for them to tell entertaining stories. Apparently, the book is basically a "best of" their podcast, so if you're a dedicated podcast listener, I wouldn't recommend buying the book (as the hordes of angry Audible reviews attest), but I thought it was an enjoyable way to pass a few of the torturous post-marathon treadmill hours I endured after St. George this year. A couple of weeks ago, the Nobel Committee announced that Malala Yousafzai had been awarded the Nobel Peace Prize for 2014. 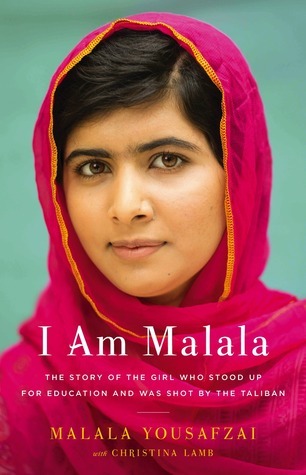 While I knew that she was the Pakistani student who had been shot by the Taliban, if I hadn't recently finished I Am Malala, I think I would have thought she had been awarded the prize primarily for publicity or for sympathy because of the accident. However, after reading I Am Malala, I was cheering for this courageous young woman who has campaigned tirelessly for the rights of girls in the Muslim world. I Am Malala is probably the most inspiring book I've read this year. Yousafzai and Lamb did a great job situating Malala's story within the larger story of what the Taliban has done in Pakistan, and the political climate in which she was raised. She tells about both her interior life and the life of her family, and never comes across as a do-gooder, but rather as a real person with faults and problems who happens to have done extraordinary things. It's a book that I hope to listen to with my kids, to inspire them and to open their eyes to what is going on in other parts of the world. It's the turn of the twentieth century, and Talmadge has been living alone on an apple orchard in Washington State for more than forty years. Then Jane and Della, two feral teenage sisters who are both hugely pregnant and who escaped from a violent brothel owner, appear on the land. Talmadge begins to feed them, and eventually they become like a family. However, the scars of their childhood run deep for the girls, and continue to challenge the family for years to come. 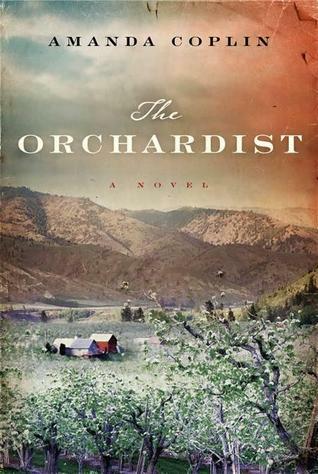 I think a lot of readers would probably find The Orchardist pretty slow, even a little boring. I'll admit that I bought it months ago, and put off reading it because I knew it was the kind of book that required a commitment. But if you know anything about me as a reader, it's that I love epics. I love the books that other people think are too slow, or too detailed. And Amanda Coplin's genius lies in transporting her readers to the turn-of-the-century orchard. This is a book where isolation and trauma and the natural world play heavily into the shaping of the characters, and it's definitely a book worth reading for people who love a slow, meandering, and ultimately rewarding kind of story. About six weeks ago, Eli and Rose started preschool. I did something totally self-indulgent this year: I put them both in full-day preschool one day a week. That's right, between the hours of 9:30-3:30, I have no children with me. I did this because I'm planning to teach at BYU Salt Lake on Thursday afternoons this winter, but it felt absolutely decadent to have six hours all to myself each week. I had such big plans-- I was going to write essays. I was going to start one of the book ideas I have percolating through my head. I was going to get pedicures. I was going to read. I was never, ever going to get behind on blogging. Obviously, things haven't turned out that way. I've spent most of my free time building cabinets for the kitchen project I've been working on. Between fall break and doctor appointments and everything else that encroaches on life, the only truly indulgent thing I've done during that time was the one time I went running. It was about a zillion degrees and I didn't take water and I thought I might expire on the trail before I got back to the car. My life is way too full. I'm sure yours is too. And if you're like me, it's probably full of lots of good things. I love each and every one of my kids. I love that they're involved in a lot of things that help them feel fulfilled, but it's go-go-go around here all day long. Somehow writing always takes a back burner to folding laundry or driving Annie a million places during a day (and the other kids too, but mostly Annie). I haven't written a word so far. One of the things that this exercise of having "free time" has taught me is that I'm not very good at curating my life. Purging my closets? Yes, absolutely. But choosing to do the things that are meaningful or necessary or bring me joy and not doing other things? Not so much. I guess I just love too many things. That brings me to books and blogging. From the very first time I got my hands on Little House on the Prairie in first grade, reading has been the greatest escape of my life. When I started blogging about books (probably about eight years ago), I loved sharing what I was reading, and also doing a little bit of analysis about how the books applied to my experience. But lately, I'm wondering if I'd really rather spend time writing about books, or if I'd rather spend time actually writing books. The answer is, at least for right now, that I don't know. I do know that the sixteen books I have read that I haven't blogged about yet are weighing heavily on me, yet I keep procrastinating writing about them. I've set an informal deadline to get them all blogged before we leave town (in 48 hours). Writing that down may actually make me stick to it. But is writing about books a meaningful way to share my voice? Is it a talent or merely an exercise that grew out of a blogging meme way back at a time in my life when I really needed it? Should I keep writing about what I read, or is the weight of feeling responsible for writing about books taking the joy out of reading? Meanwhile, if you need me, I will either be in the car, at the dance concert, at a band concert, or stealing away to my bedroom to try to crank out those book reviews before my girls and I hop on a plane to Disneyland.